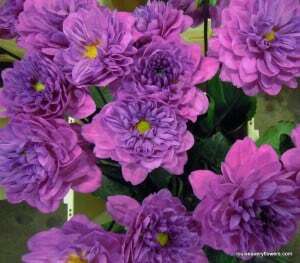 The Dahlia plant originates from Mexico and according to the National Dahlia Society was introduced to Europe over two hundred years ago. The plants initially went to Spain and then afterwards, on to England. 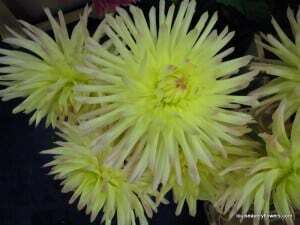 Today in the UK we can enjoy them commercially as cut flowers from late summer through to early autumn. 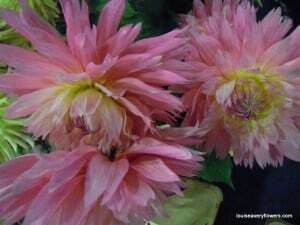 Since a child I have loved the beautiful old fashion dahlia flower that’s grown in the garden. 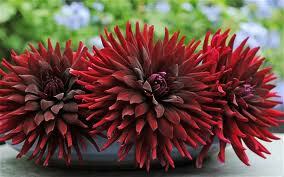 As a professional florist I have been disappointed year after year by the imported cut dahlia. In my opinion they just do not travel well and are all too often bruised at the back of the head due to packing or worse still heads that shatter at what sometimes seems just looking at them! The English Dahlia however is soooo…… different and this month some of the best dahlias available are British grown, by specialist commercial growers in Sussex and Kent. 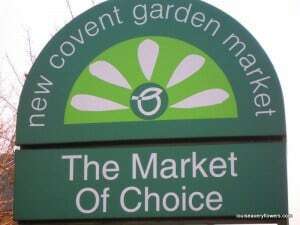 For the flowers, a short journey to London’s New Covent Garden Market mean that the blooms require minimal packaging. No air miles what-so-ever are necessary as they barely have an hour to travel to their destination at the flower market. 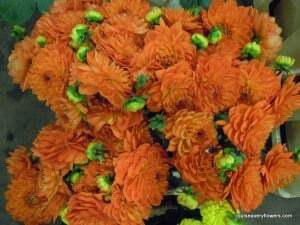 In no time at all, from cutting and harvesting they are ready to take their place as one of the freshest cut flowers available at the flower market. Such a treat! and bi-colours too. A bi-coloured flower has two colours on its petals, one is often white. The sizes of the flowers also vary, from the tiniest dainty pom-pom to the largest shaggy spider head so variety options are huge as well. 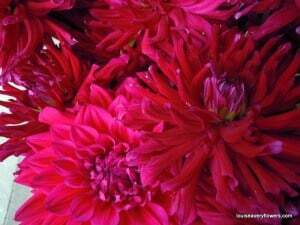 Dahlias are sub divided into different flower shapes. 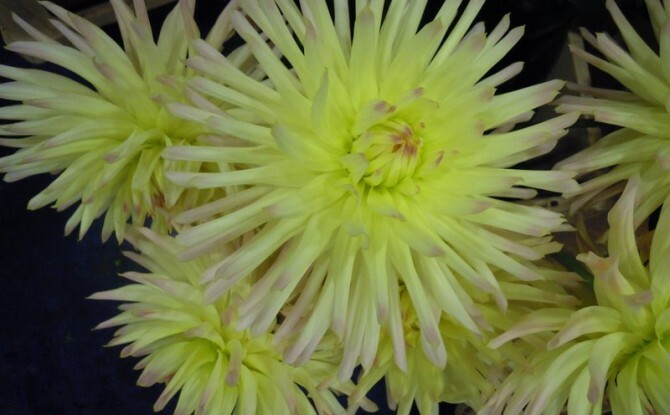 In 2010 the International Register, the National Dahlia Society and the Dutch Dahlia Authorities updated the number of classification groups to no less than14! Not all classification groups are grown commercially in wholesale quantities for the cut flower trade. Though I am sure you will recognise or want to look out for some of my favourites. Groups including single flowers, water lily, pompom, ball and my all-time favourite: semi-cactus, I just love them. 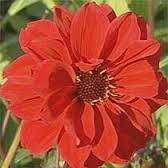 All sorts of old fashion flowers are back in vogue and Dahlia’s are amongst the top of the list. 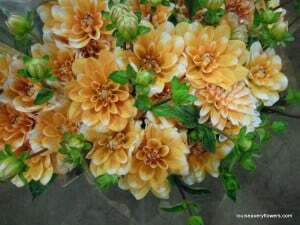 Dahlia bouquets or Dahlia table decorations are stunning seasonal wedding flowers. 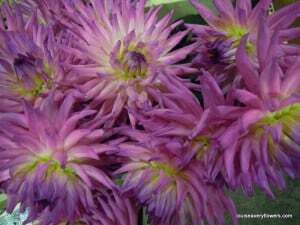 The Dahlia is a great flower to work with, with but as it is a thirsty flower and has hollow stems it much prefers to be displayed in vases of fresh water. Save your oasis designs for a different flower!